Photos of the fuel valve before taking off the tank. Note the hoses, and in particular that NO hose is attached to the bottom post. This is the correct hose configuration. The valve is in the ON position. Re-posting this thread for all you newbies! I just completed re-painting my tank and fairing, and thought I was a smart *** so I labeled all the hoses and connections. Put every thing back together after a long day and decided to crank her up! She ran for a minute than died. So I thought, must have gotten some water in the tank, let me run and fill a gas can to perk her up with some new fuel. Hit the starter again, and she just moaned and died. So at this point, I'm cussing and finally thinking, let me go to the good old PVLIR thread and check my connections. DAMN, vacuum hose up front, and wrong hose in back port. Saved again by this wonderful thread. If you are having engine stutter, backfires, she won't crank, etc. Check out this thread! This post just saved me! I have spent the last ten days trying to get mt bike to run and stumbled upon this thread. I moved the vacuum hose from the bottom to the rear and it fires right up! I still need to do some tuning, but at least it runs now. The moderators should consider making this a sticky. 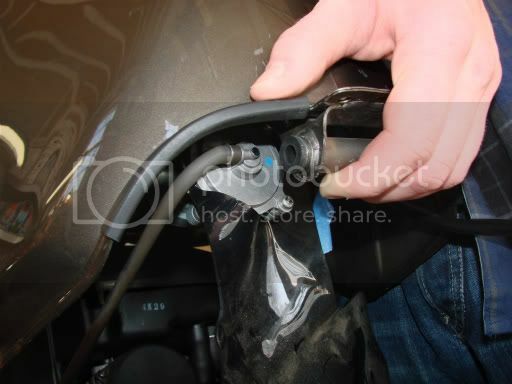 Sorry to be a pain, but I have drain the tank on my vtr1000 after it has been laid up for many years. I can't get it to go and I think maybe the fuel has to be drained and refilled with new. Basic question.. what's the best and easy way to do it? I am also conscious that old fuel is in the float chamber so I need to empty the lot. Thanks in advance. Take the tank off and pour the gas out through the filler cap. 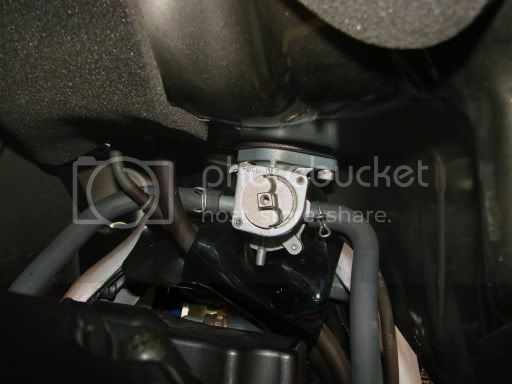 Or if you haven't already replace the internal fuel filter. You can get the gas out from that point, but it will get on the foam. To be avoided. The filter will be swollen and won't come out easy. The third sticky is about fuel valves.